Эта статья переведена на русский Кариной Шелуденко с Everycloudtech. Український переклад зроблено OpenSourceInitiative (Сандi). See lehekülg on tõlgitud eesti keelde. Ta stran je prevedena v slovenščino. See this Web page as an excellent starting point. Feel free to save and print using printer paper for use later on. It is specific to the state of Minnesota but contains some excellent information applicable for everybody. Starting with the information above and using some other pages I found the information below. toll free to register for the list. The Direct Marketers Association is a legitimate association for telemarketers, junk mailers and spam E-mailers. They have an additional list which you can get on to opt out from all telemarketing done by companies in their association. It cost $5 for registering online but is free if you mail in a form by US Post. If you go to the address hit the “REGISTER BY MAIL (Takes Longer)” button, it will generate a form where you can enter your name and address with your computer keyboard. You can then print out this form and mail it. There is a phone number which you can call which will allow you to opt out of preapproved credit card offers. Most credit card companies check with one of the four major Credit Reporting Agencies (TransUnion, Experian, Equifax, and Innovis) before making a credit card solicitation. When you have a decent credit rating you qualify for “preapproved” offers. There are some credit card offers which are not preapproved, and calling the number below will not get you out of these. The four companies have got together and have the one phone number which you can dial to opt out of all the companies sharing your credit information. You can find out more information below. Experian is also a major broker of addresses for physical junk mail. Calling the phone number below will put you on Experian’s US Mailing Address List Opt-Out Registry. The Polk Company is another large vendor of addresses for physical junk mail. Calling this number will put you on The Polk Company’s US Mail Address List Opt-Out Registry. ADVO Inc. is the company which produces the little white advertising fliers with the missing children and their possible alleged abductors. They are the Mailbox Values, ShopWi$e fliers. You can call the number below before 4 PM East Coast time to opt out from them. Val-Pak Direct Marketing Systems is a coupon mailer. You can call: this number to opt out from them. They do not operate in all states. The address below will instruct you how to get on the opt-out list Direct Marketing Association again. Please note this is separate from the opt-out E-mail list below and the telemarketer list above. Again if you want to register online with this opt out list, it cost $5, but if you send in a physical letter, it is free. The Direct Marketing Association also has a Web page which will allow you to register for free on the E-mail opt-out list for companies that are members of their association which advertise by spam E-mail. You can register up to three E-mail addresses on this list. This registration is free online unlike their junk mail and telemarketer lists. This site lets you opt-out of the cookies and also pop-up ads from the infamous DoubleClick (and also out of another one which I haven’t heard of Avenue A, Inc). Here is the address to a page with convenient links to the specific opt-out pages for MSN.com, Wired.com, Yahoo, 24/7 Media, BeFree, CoreMetrics, MediaPlex, Amazon, American Express (e-mail), Any Birthday, AT&T, and eBay. 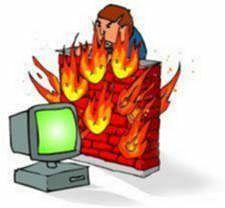 If you are on the Internet you should be using a Firewall in addition to the Antivirus program you use. This will prevent hackers from coming in. Hackers are always scanning all the IP addresses that exist on the Internet, looking for weaknesses. When you log onto the Internet, whether it is through Dial-Up, DSL, or Cable, you are identified by a unique IP address. Cable users share an IP address with others in their neighborhood. When I started using a Firewall on my DSL line, I was surprised to find that users from all over the world were trying to get into my machine about once every 2 minutes (a different user each time). This was true even though Verizon changes my IP each time I log on. I use Zone Alarm Pro which has a free version. It may be a little hard to understand how to use these programs at first but just accept the default conditions to begin with and you will be fine. If the programs do get into your machine, the firewalls will prevent your PC from be used as a staging ground to launch Denial of Service Attacks against Amazon, E-bay, government Web sites etc. They can also prevent viruses or worms from using your E-mail program to send E-mails to all addresses in your address book. Antivirus programs should do the last function also. Firewalls are a good first line of defense with the antivirus programs being a second line of defense. You can write me if you have any questions (I’m still learning too). You can start downloading Zone Alarm here free for personal use. It is the easiest for the novice to use. Note, answer the questions and hit the continue button at the bottom. On the subsequent page, the free version is all the way to the right (the third one). There is one other free Windows firewall that is more for those who have some computer security knowledge. Sygate Personal Firewall 5 is also free for personal use. On the subject of anti-spyware programs, there are four good ones. http://www.lavasoftusa.com/software/adaware/ - is free for non-commercial personal use. For use in a commercial/educational/governmental environment you need to pay and register the software. This is the pioneer of free ad and spyware removal. It is great stuff. http://www.safer-networking.org/en/index.html - amazing free suite of programs, the main serving the same function as above. Will find some spy/adware that the above won't find. http://www.javacoolsoftware.com/spywareblaster.html - yet another free product that works well. Spybot recommends it as a supplement. Don't really understand how it works, but it prevents spyware from installing to begin with. http://www.kephyr.com/spywarescanner/ - Bazooka anti-spyware software. Again this is free. It is often overlooked but may also be helpful, although if you have the three above, Bazooka does not seem to be find anything in addition. Finally, it is important to keep up with all the security patches that are issued for Windows. This can be done fairly painlessly if you have broadband (DSL or Cable). Simply click on the Windows Update link which should be above your Programs button on the Start Menu. Just follow the directions once you’ve chosen the link. Windows will go to the appropriate Microsoft Web Page and ask you if it can analyze your computer and tell you which patches need to be downloaded and installed. If you so choose, Windows will do the downloading and installing for you. Note that for some updates Microsoft will download and install the updates separately from the others. This is particularly true for the Service Packs for Windows. You will have to restart your computer after the update is installed. To get the rest of the updates you will have to choose the Windows Update link on the Start Menu again and go through the process again. Comments or questions can be sent socrtwo@s2services.com.